Soviet Russia ceased to exist some twenty years ago. It is just Russia. well we were all sperms once.. They had a whale of a time making that baby. So what can daddy's BIG squirt do? 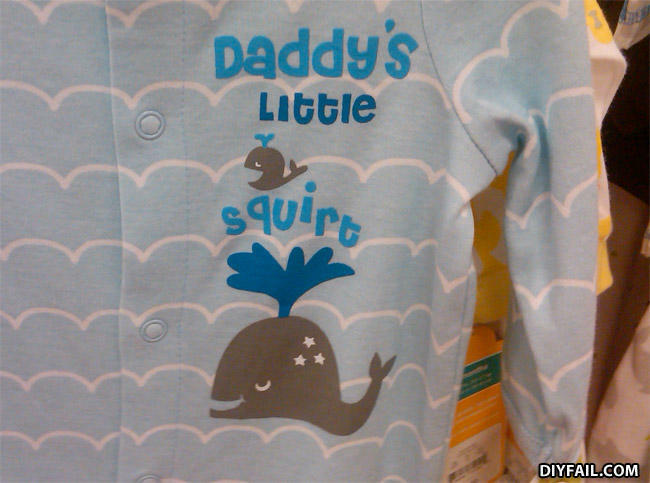 Sad to say, but I saw this onesie in the Carter's kids clothes store and thought nothing of it. The second I saw it on here I got the joke. Go figure! An asian walks into class to take a math test. He did not study and consistently misbehaves and promptly fails.